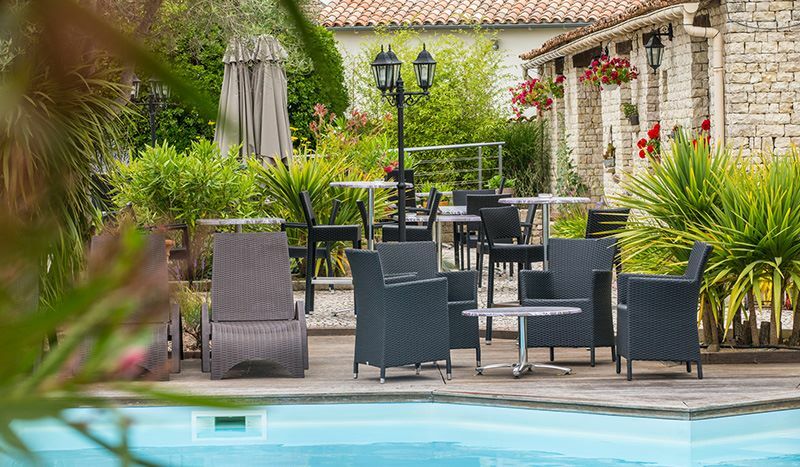 Hotel Le Peu Breton is a charming 3-star hotel located in the heart of the village of Sainte-Marie-de-Ré just a few minutes’ walk from the sandy beach of Montamer. It’s a romantic hotel with its white stone facades, enclosed gardens, flower-bedecked terrace, courtyards and swimming pool. Immerse yourself in the magical atmosphere of “Ré la blanche,” Ile de Ré’s moniker. Experience authenticity, tranquillity and a change of scenery to live the “good life” like the locals. 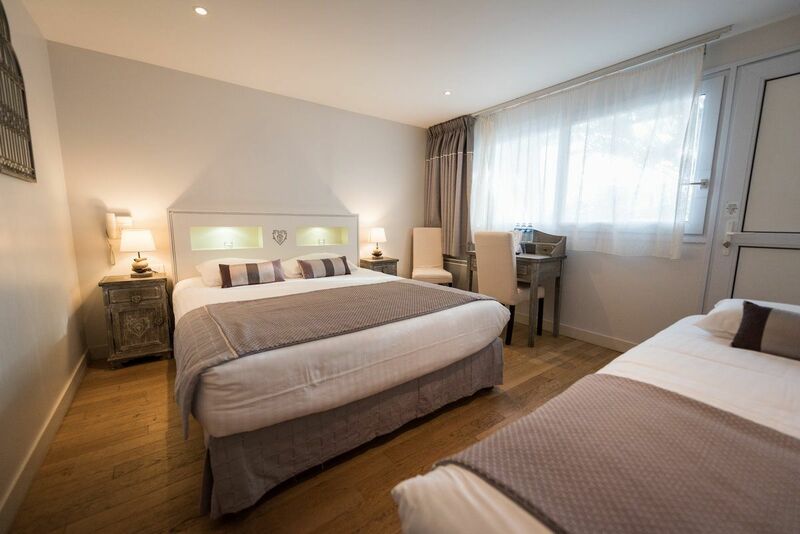 This is a discreet hotel which is filled with the human warmth of a team of staff who will gladly welcome you and share with you their love of Ile de Ré. 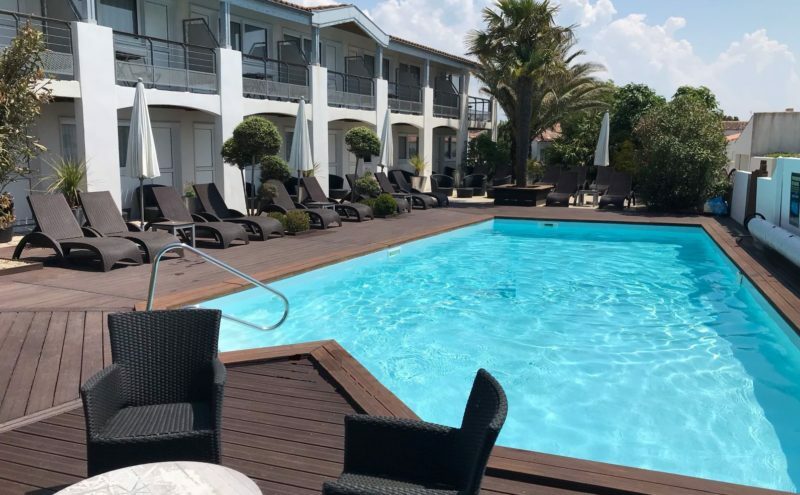 During your stay on the island of Ré enjoy the sweetness of life of our hotel and let yourself be tempted by delicious moments of idleness by the pool. The large teak terrace, deckchairs and heated pool will welcome you all day. Succumb to the conviviality of an aperitif at the edge of the water. Adopt the art of living at the retaise, delicious hedonistic harmony of good live and nature. Enjoy the enchanting lights of the day. Breakfast on the flowered terrace for a gentle awakening, reading peaceful in one of the patios or cocktail by the pool. You enjoy each relaxation area at your leisure. Give in to a soothing break. We offer a special wellness area in the hotel including treatment rooms, a sauna and private hammam. Our institute offers tailor-made treatments in line with your current mood. These include sculpting, facials and body treatments etc. 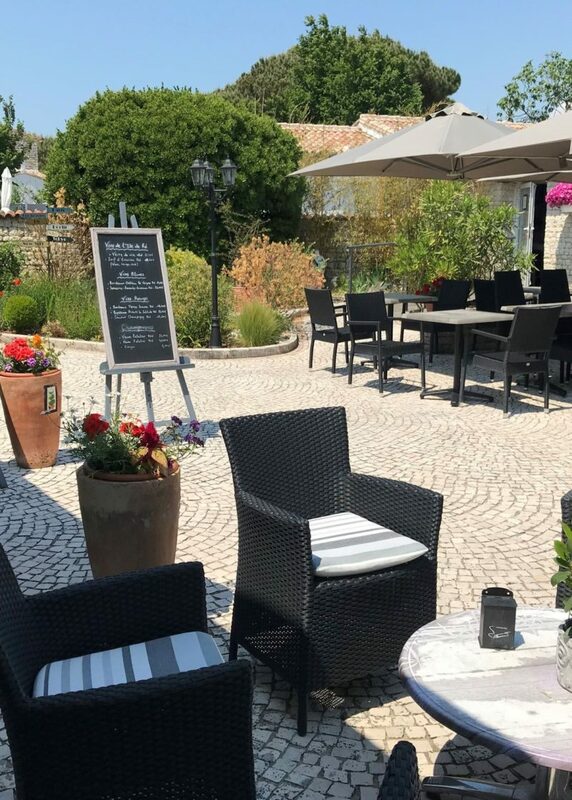 A haven of peace, Hotel Le Peu Breton immerses you in the atmosphere of an Ile de Ré village with its stone houses and its flower-covered courtyards. 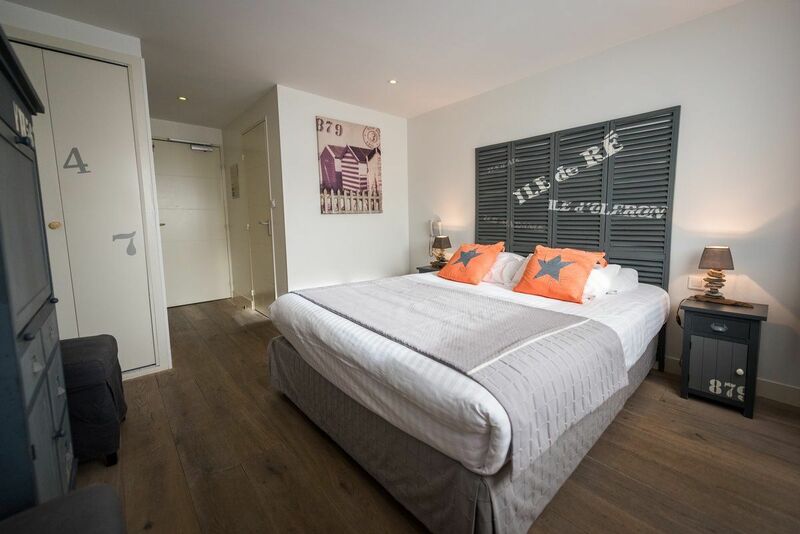 Thirty double rooms, family rooms, suites and studios can accommodate you for your stay as a couple or family. 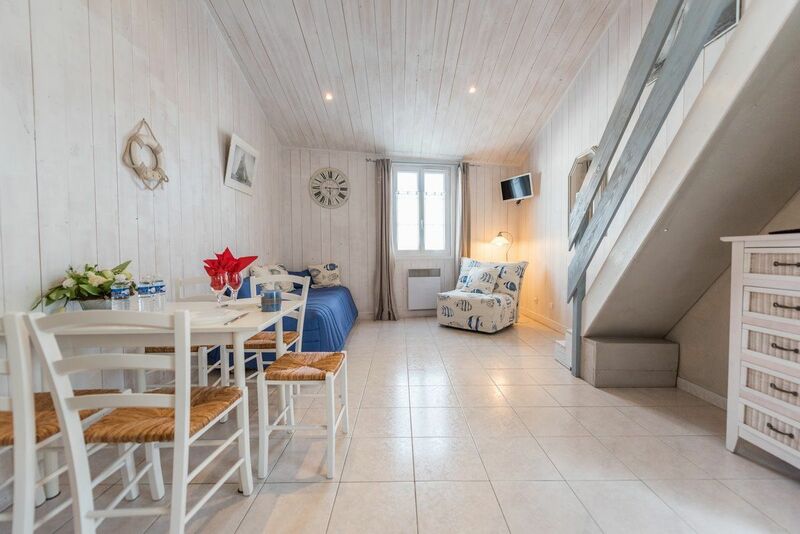 Each room is a real cocoon, unique and tastefully decorated in true Ile de Ré style, creating a clever balance between the land and sea. Our bedding is new and high-quality to ensure you have a restful night’s sleep. For a seamless start to your day, enjoy the buffet breakfast. 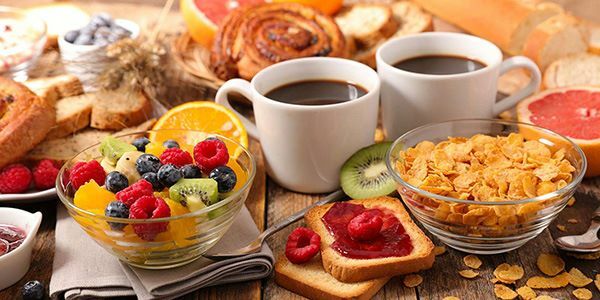 From freshly squeezed orange juice to local jams, fresh seasonal fruit salad, crêpes, pastries, cheese, cold meats, cereal, dairy products and more besides, a good breakfast will ensure you start off on the right foot. Have it on the flowered terrace on a beautiful sunny morning, watching the bees gathering pollen in the lavender. 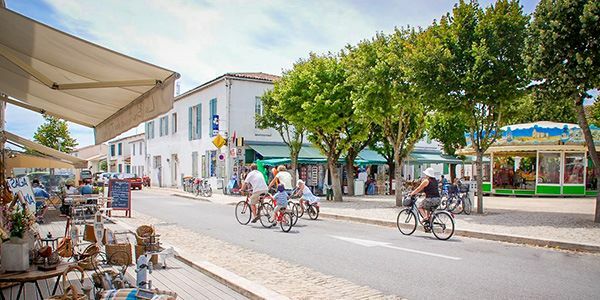 Discover Ile de Ré by bike. 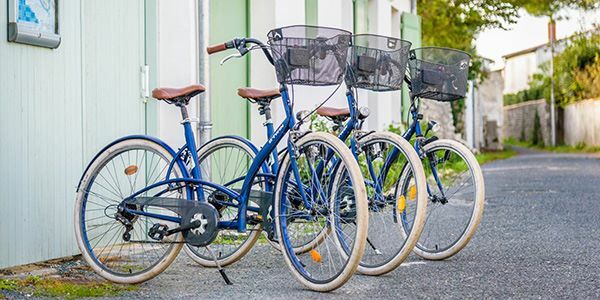 We offer men’s, women’s and children’s bikes, baby seats and trailers to explore the islands bike paths and discover its wonderful sights. For your convenience, we offer you free facilities. The hotel has free WiFi in all rooms and free private parking. Regional daily newspapers and magazines are available for you to read. 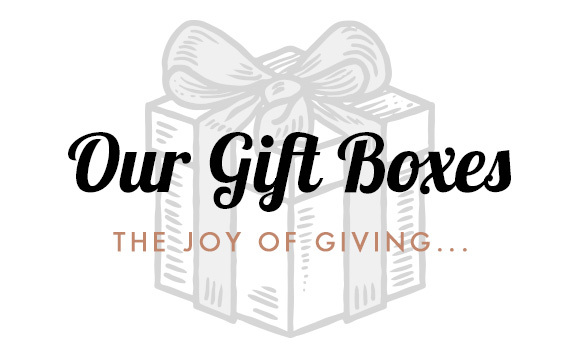 Give an original gift, perhaps for a birthday, retirement or wedding, as a thank you or just to treat yourself. 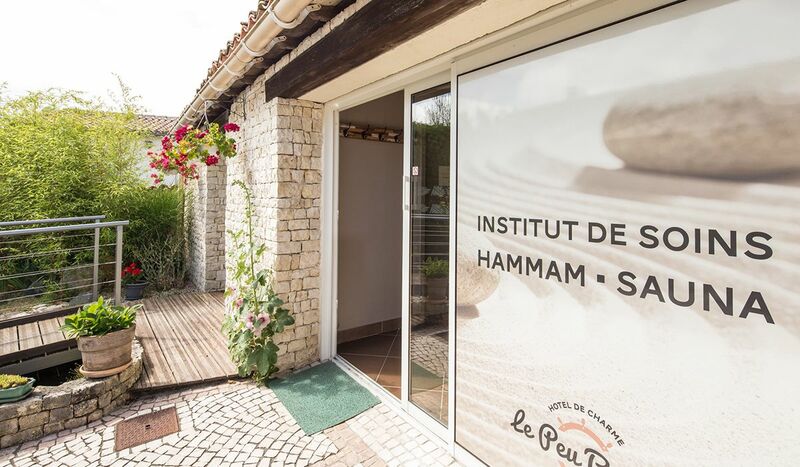 Share with those you love a unique experience on Ile de Ré in the authentic and exotic surroundings of Hotel Le Peu Breton. Feel free. Discover the island’s microclimate and its exceptional sunshine, breath-taking landscapes among pine forests, salt marshes, sand dunes and the ocean, and its past, on which Vauban has still left a lasting impression. 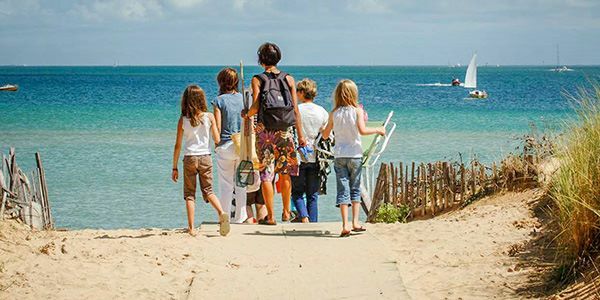 Be sure to take a stroll through its ten tiny little villages: Ars-en-Ré, La Flotte, Sainte-Marie-de-Ré, Saint-Martin-de-Ré, Les Portes-en-Ré, Loix, La Couarde-sur-Mer, Saint-Clément-des-Baleines, Rivedoux-Plage and Le Bois-Plage-en-Ré. 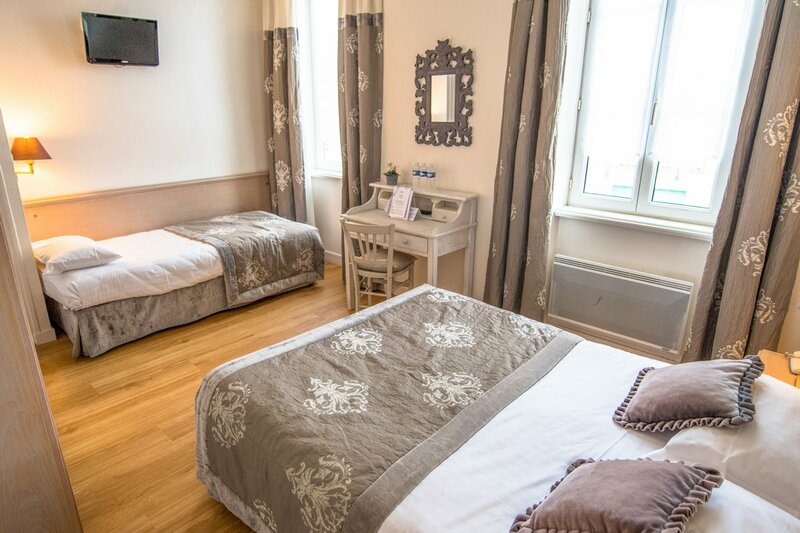 Hotel Le Peu Breton is in the centre of the village of Sainte-Marie-de-Ré in the district of La Noue, near the charming Place des Tilleuls along with its market, restaurants and local shops. 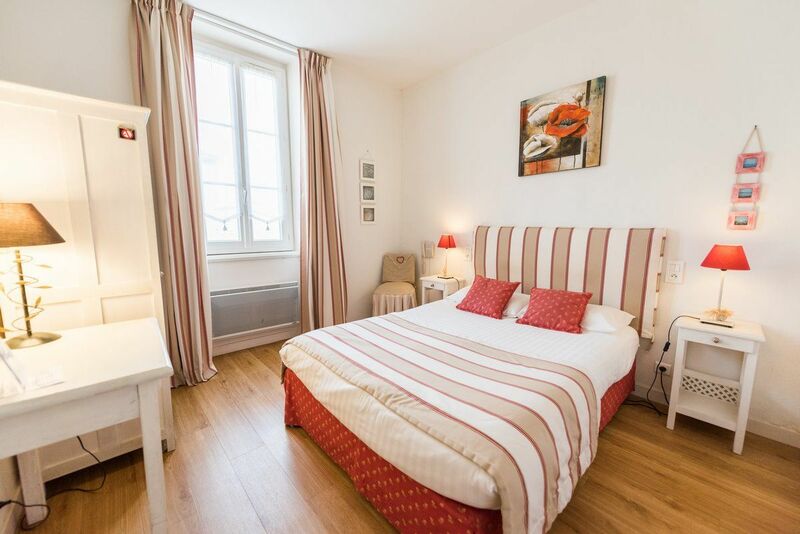 It’s a serene haven surrounded by white stone houses and secret gardens, nestled in a peaceful street in La Noue. 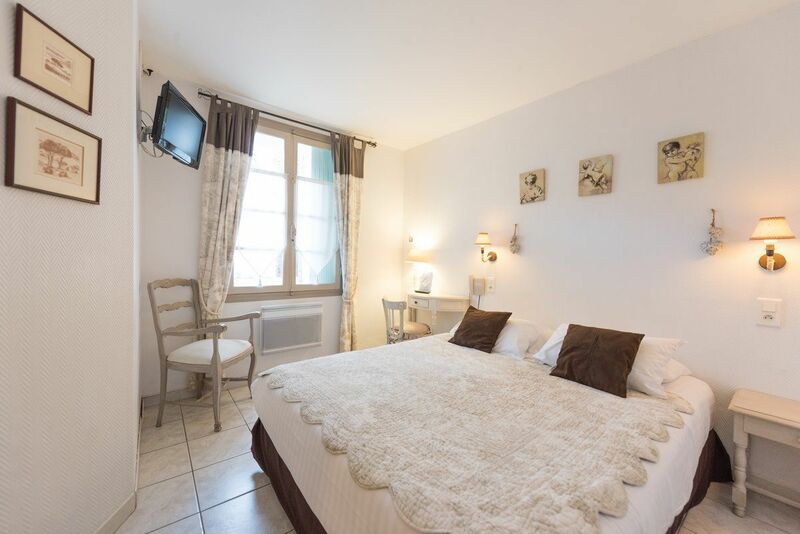 The hotel is just a few minutes’ walk from the sandy beach of Montamer, which is monitored from July through to August. It’s ideal for bathing, walks and sports activities, offering a clear view of Ile d’Oléron island and the Atlantic Ocean. 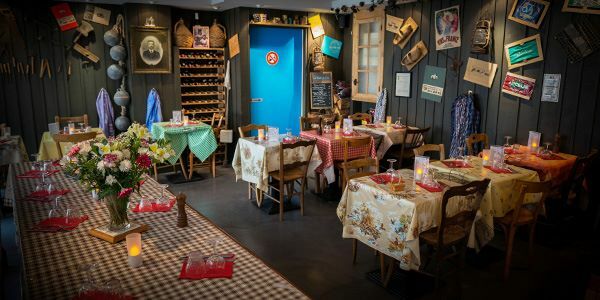 To give you a unique experience on Ile de Ré, we’ll now share with you our favourite things to see and do, from restaurants to shops, tasting sessions, trips and walks: in short, everything we like. Coming soon…. 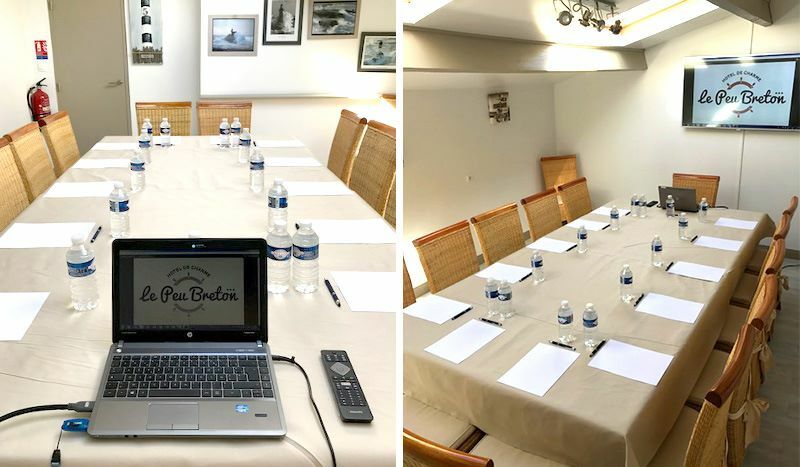 As a place that stimulates thinking and creativity, Hotel Le Peu Breton can host your business and work meetings. The environment in the hotel is relaxing, helps you concentrate and is reasonably sized. We have a bright, quiet and functional meeting room with projector facilities which can comfortably accommodate 14 people. 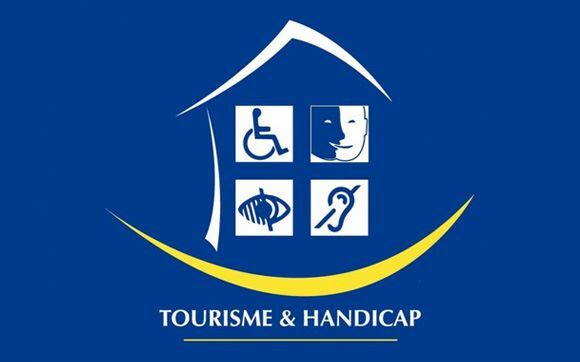 Hotel Le Peu Breton has the Tourisme & Handicap label, guaranteeing accessibility and a quality stay for disabled guests. Public areas – the reception, breakfast room, chill-out spaces and wellness area – are designed to be fully accessible. 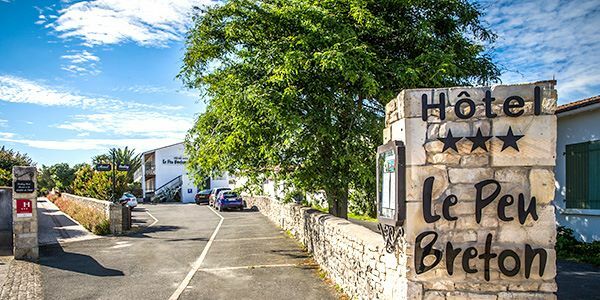 We offer rooms with facilitated access for disabled guests and reserved parking spaces.